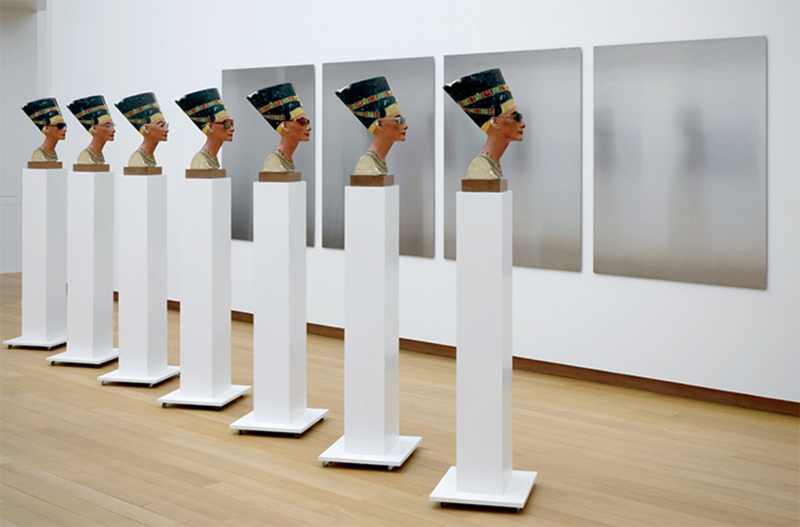 Isa Genzken, Nofretete, 2014, seven Nefertiti busts with sunglasses, seven wooden plinths on casters, four steel panels. Installation view, Stedelijk Museum, Amsterdam, 2015–16. Photo: Gert Jan van Rooij. 1 ISA GENZKEN (STEDELIJK MUSEUM, AMSTERDAM; CURATED BY BEATRIX RUF AND MARTIJN VAN NIEUWENHUYZEN) The first show I saw in 2016 was Genzken’s arresting survey. 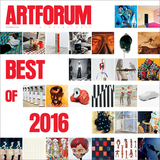 This comprehensive presentation of her radical, inventive oeuvre of the past four decades was expressed through an intriguing curatorial concept: Rather than following a strict chronological order, the presentation expanded into an open course of carefully arranged constellations dispersed throughout the Stedelijk’s generous space. This allowed for captivating juxtapositionsof recent and early works, of well-known and rarely seen objectsthat actualized not only interconnections and idiosyncrasies highlighted by the exhibition but the inner logic of this anarchistic, constantly evolving body of work itself.